The Collegiate Standing Martingale offers an adjustable neck strap and girth loop. The Standing Martingale attaches to the noseband and is useful for horses that raise the head too high to avoid the contact; if the horse raises the head above the contact, pressure is applied to the noseband encouraging the horse to lower the head. 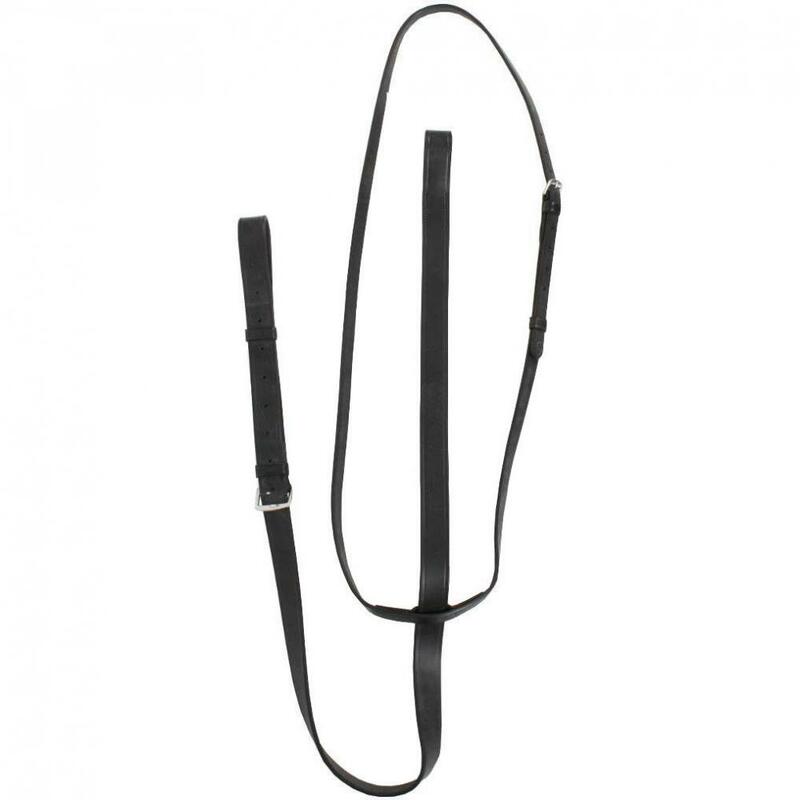 The Standing Martingale should only be used with a cavesson or flash noseband. There are currently no questions for Collegiate Standing II Martingales - be the first to ask one!